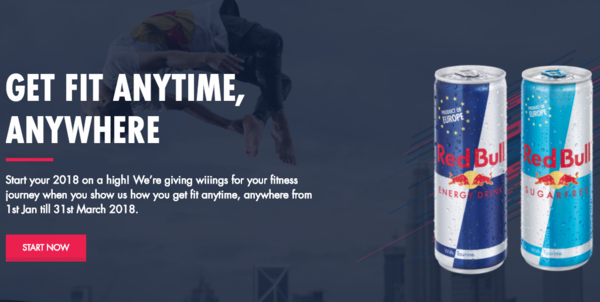 Red Bull Malaysia encouraged you to get fit anytime, anywhere! Snap a photo, video or boomerang showing that you are getting fit anytime, anywhere in the most creative way and win an annual gym membership! Keep your receipt as proof of purchase so you can claim your prize if you win. Share your #FITanytimeanywhere Instagram photo, video or boomerang post (not story). Tag #FITanytimeanywhere & @RedBullMY to make sure we see it.